Are enrolled in one of the waiver programs listed below. Members will get one-on-one help. Each member will have their own service coordinator that will help them get the healthcare services they need. Each member will have their health needs evaluated, which will be used to create the member’s individual service plan. Driscoll Health Plan is committed to providing quality and caring healthcare to its members. The SK-SAI is the assessment tool that is used to set up a detailed Care Plan for your child. The care plan is called an Individual Service Plan (ISP). The assessment will be completed by the Service Coordinator, the Member and you. The SK-SAI will be completed in your home or at another location of your choice. We will schedule a convenient time to meet with you to complete the assessment. 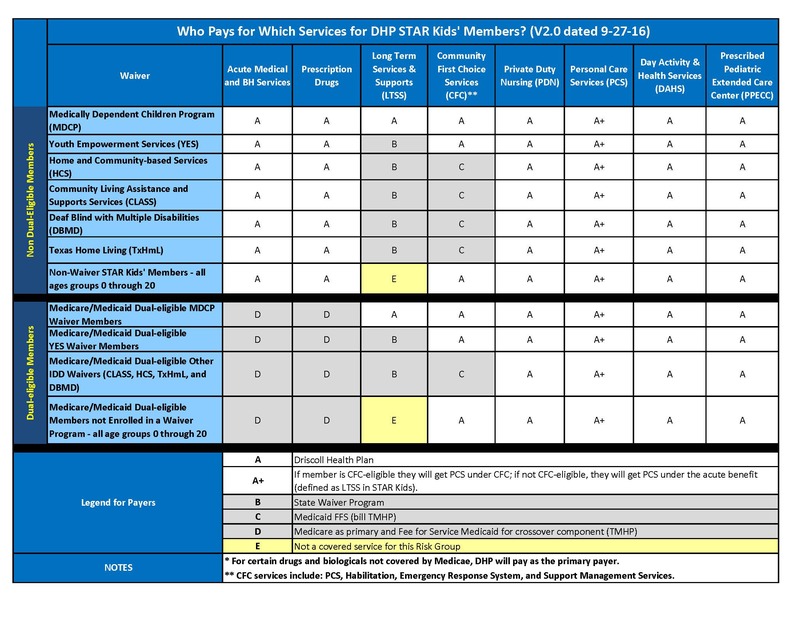 The SK-SAI will let both the family and the Service Coordinator have input into deciding what services and what amounts of each service are right for your child. The assessment will allow the Service Coordinator to set up the necessary authorizations to ensure that the medical care for your child is not disrupted. It may not mean that everything will be exactly the same. Our goal is to allow you and your child to have access to the providers you trust and to the services your child needs. Our promise to you is that the well-being of your child will always be a priority of our Service Coordinators. A referral is a request from your Primary Care doctor for you to see another doctor. In order to see any Medicaid physician specialist (in-network or out-of-network) you Primary Care doctor will need to follow DHP’s authorization and referral rules when asking for a referral to another provider. Click on a waiver program below for details.